Ashley Jensen on the set of "Arthur Christmas." Ashley Jensen at the 2007 Teen Choice Awards. Ashley Jensen at the Greatest Britons 2007 Awards. Ashley Jensen at the 14th Annual Screen Actors Guild Awards. 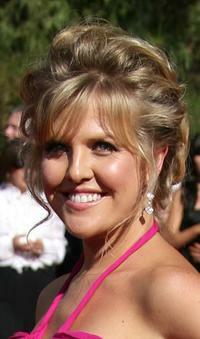 Ashley Jensen at the 59th Annual Primetime Emmy Awards. Ashley Jensen at the BAFTA/LA's Inaugural British Comedy Awards. Ashley Jensen at the 5th Annual Primetime Emmy Nominees BAFTA Tea Party. Ashley Jensen at the DVD launch of "Ugly Betty: The Complete First Season." Ashley Jensen at the Pioneer British Academy Television Awards 2006. Ashley Jensen at the British Academy Television Awards. Ashley Jensen at the Academy of Television Arts and Sciences presents An Evening with Ugly Betty. Ashley Jensen at the 64th Annual Golden Globe Awards. Ashley Jensen at the 13th Annual Screen Actors Guild Awards. Ashley Jensen at the Cosmopolitan's Ultimate Women of the Year Awards.